Size: 12 7/8" by 17 5/8". Title: 'Transilvania'. Latin text on verso. 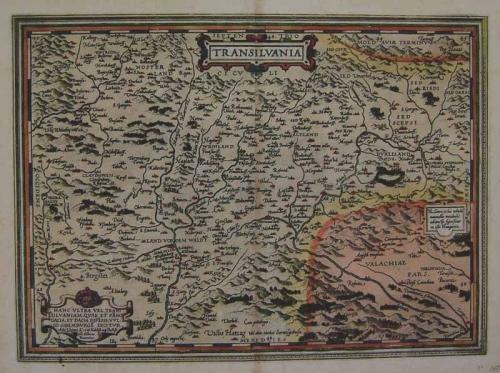 A beautiful and detailed map of Transilvania. The map is based upon Sambucus map of 1566, which is turned based on Honter's map of 1532. In very good condition with a small whole in the top margin (well away from the image area) only slight age toning and wide margins.